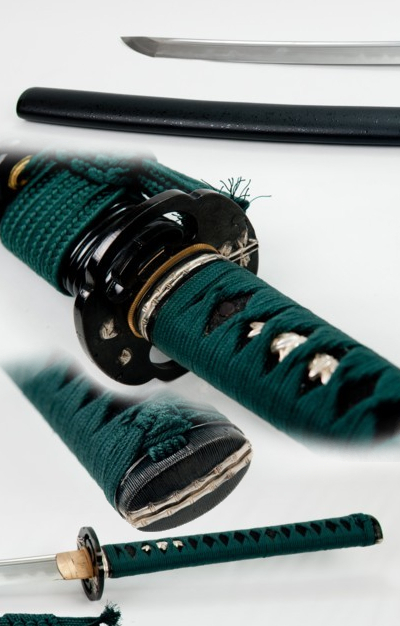 Shintogo Handmade Bamboo Katana. The Ito is Green silk over Black Rayskin. Tsuka is double pinned with bamboo mekugi, silk Ito wrapped with hishigami. Saya is wood with Matt Black finish and Black ratton wrap. 3 pc bullhorn, Green silk Sageo.